We take pleasure in introducing ourselves as a leading “A” grade electrical contractor we have carried out a number of major HT / LT electrical installations in Tamilnadu, Pondicherry and Bangalore. We are also reputed in Electrical Annual Maintenance Contract, Erection and commissioning of HT Transformers, DG set, Furnace Transformers, Control Panels, etc. We take pleasure in introducing ourselves as a leading “A” grade electrical contractor we have carried out a number of major HT / LT electrical installations in Tamilnadu , Pondicherry and Bangalore. We are also reputed in Electrical Annual Maintenance Contract, Erection and commissioning of HT Transformers, DG set, Furnace Transformers, Control Panels, etc. We have well-qualified and experienced engineers and supervisors in our project division who possess valid B & C license. All our employees are covered under E.S.I. and P.F. schemes. In addition to this they are also covered under Insurance scheme. We are having adequate machineries, tools & tackles and testing equipments for carrying out project works and other works. Our project division is well established with best-qualified project team and vast experienced senior managers, engineers, site supervisors, electricians and staffs with sound knowledge in electrical as well as all engineering fields. In addition, our design and tendering department is oriented with latest computer technology with Computer Aided Design as the result coming out from ours is the best for you always. All of our team members are linked by mobile communications. All our engineers are dedicated and ready to serve for 24 hours & 365 days and more too. DG Set Erection services offered are offered by experienced industry professionals who have with them rich process experience as well as expertise to successfully handle the in-hand task demands. Our team’s expertise lies in offering solutions for diesel, heavy-duty, four stroke, water cooled and direct injection fuel systems as required from us. Further, while offering the services we also ensure the solutions are competitively priced and meet client’s specific needs. Backed by rich industry experience and highly experienced team of professionals, we are offering the finest quality HT and LT Transformer Erection Services. Our offered services are rendered using hi-tech tools and technology in order to meet international quality standards. We offer these services as per the clients’ demands and are highly appreciated by them for their timeliness, promptness, flexibility and affordable price structure. Clients can access these services from us at highly competitive prices. 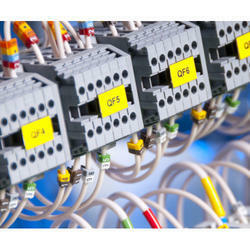 We have considerable experience in completing industrial electrical installations, mainly within the manufacturing and machine shop sectors. We install supplies, ranging in size from commercial single phase installations up to 1600A industrial 3 phase supplies, and from the provision of a new machine supply to full factory installations. 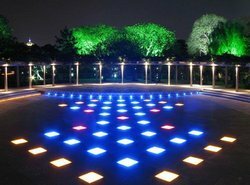 Commercial Electrification Services offered are handled by experienced professionals who have with them rich industry experience as well as process knowledge so as to perfectly match up with the specific service requirements of the customers. Further, these electrification services meet the requirements of commercial and IT complexes among others. Some of its features include best quality services; quality services aimed at striving utmost client satisfaction; support include telephone & TV points, voice data system, fire bungalow alarms, flood lighting and others. Being an eminent name of the industry, we are engaged in offering of our clients a most reliable and desired range of Power Transformer Testing Services. Offered by our qualified and adroit professionals,Latest ,Advanced Testing Equipment These services are highly acknowledged by the clients spread across the nation. Advanced techniques are used in our Testing Methods, which further keep us a step ahead of our close business operators. We provide services to the clients all Over India & Abroad. We undertake all Industrial Wiring whether you are looking for a complete electrical rewire of the factory - security lighting CCTV or emergency lighting then look no further than us. We have marked an enviable position in the industry by offering a comprehensive range of Transformer Erection, Testing & Commissioning Services. Holding vast expertise in this domain, we efficiently meet the specific requirements of our valuable clientele. 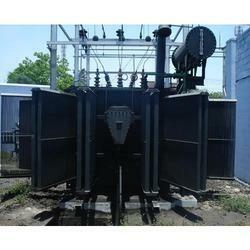 Our company possesses separate segments for commissioning and erection of large transformers. Combination of ultramodern handling equipment and highly experienced site technicians improves the efficiency and speed of this operation that encompasses erection of accessories and fittings, commissioning tests of transformer, oil filling under vacuum and evacuation of main transformer tank. 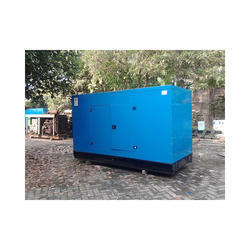 Transformer of different ratings and voltage range of 11kV & 33kV are readily available on rent basis. 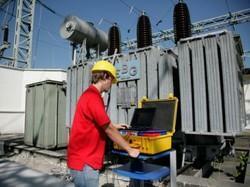 We also offer most reliable Transformer Oil Filtration Services. 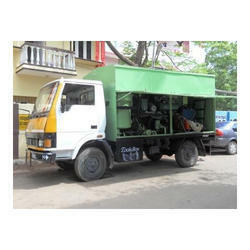 We bring forth a comprehensive and most reliable array of Transformer Truck Mounted Oil Filtration Machines in 12 KL, 6 KL, 4.5 KL for easy movement with High Vaccum Pumps. 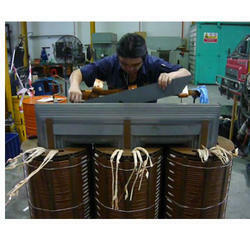 We are offering to our valued customers a qualitative range of Rewinding Of Transformers. Repair & rewinding of all kind of transformers upto 1500 KVA, 11 KV Class at our factory and transformers oil filtration is done at site. 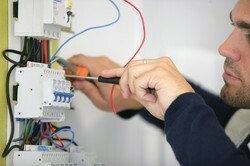 All the servicing is done by our team of qualified professionals. HT Cable Termination Service offered are handled by experienced professionals who have with them rich process experience to flawlessly handle the performed tasks. 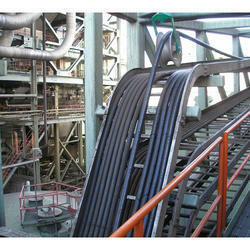 Our experience includes performing cable terminations for many prestigious clients. Some of the service features include services of experienced professionals which allow them to carry out work efficiency; process support includes handling wide range of high voltage cable joints up to 132kV; provision of meeting the demands of HV accessories for handling specific HV joints and termination needs. 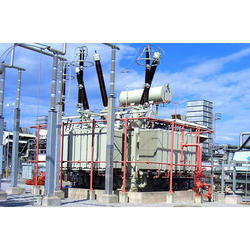 We are giving transformers for rental purpose from 500 KVA to 30 MVA and 400 Volt to 132 KV.